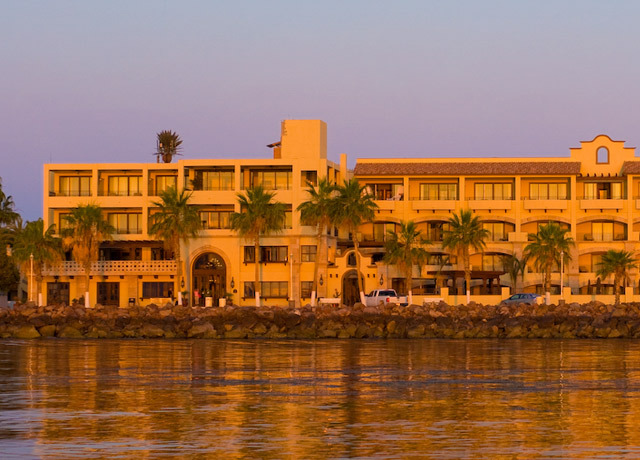 Amid a rich tapestry of old Spanish mission heritage and authentic Mexican culture, La Mision offers gracious waterside accommodations in Loreto, the first capital of the Californias. 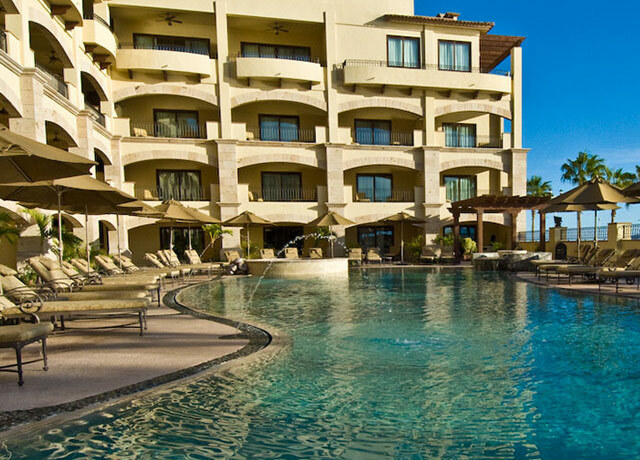 Against a rich tapestry of old Spanish mission heritage and authentic Mexican culture, La Mision offers deluxe waterside accommodations in Loreto, the first capital of the Californias. In the shadow of the Sierra de la Giganta Mountains, this boutique resort fronts the intense blue Sea of Cortez, where seabirds float and fishing boats bob offshore. Spacious guest rooms—the finest accommodations in Loreto—feature hacienda-style decor with distinctive touches including hardwood furnishings and Old World hand-laid plaster walls. 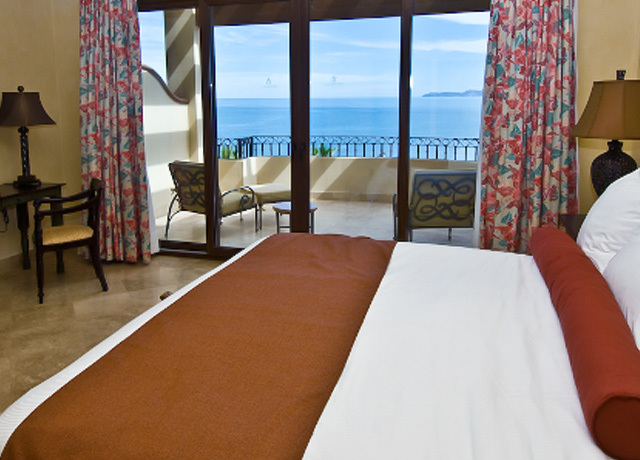 Our guests enjoy luxury suites with ocean views, each with a private balcony or patio overlooking the sea, a travertine marble bath with walk-in shower, one king or two queen beds, armoire, flat screen TV, writing desk and all the amenities that ensure an exceptionally comfortable stay. Opportunities for relaxation include a large swimming pool surrounded by umbrella-shaded chaise lounges and a spa offering soothing therapeutic treatments featuring local spices and oils. The hotel is an easy few blocks' walk from the central plaza at the heart of Loreto's Old Town. 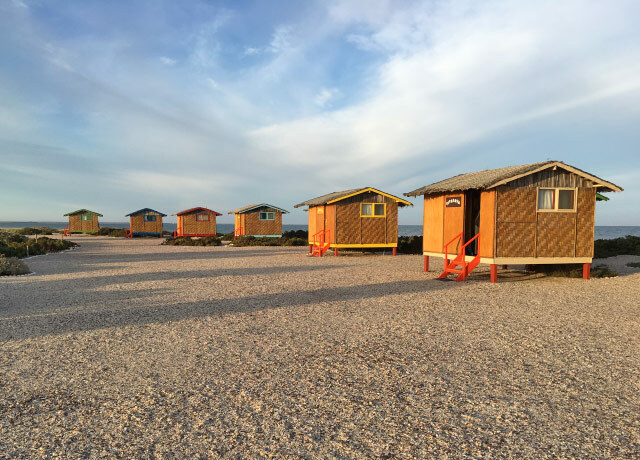 Featuring 10 small and simple raised thatched-roof cabanas set directly on Baja's San Ignacio Lagoon, this eco-camp delivers a secluded experience where guests are enveloped by the desert wilderness. Our accommodations on Baja's San Ignacio Lagoon greatly enhance the atmosphere and excitement of our whale-watching adventure. Our eco-camp features 10 small and simple raised cabanas with thatched roofs set directly on the lagoon, providing a secluded experience where guests are enveloped by the desert wilderness. Each has two beds, shelving and hooks for clothes, and a window overlooking the lagoon. 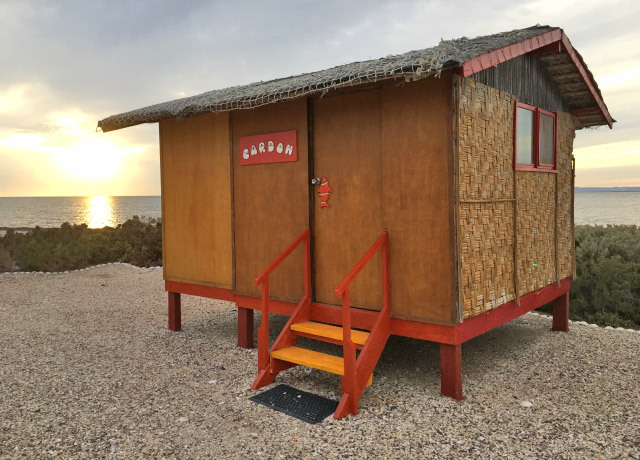 The cabanas are clean and comfortable but not at all fancy—we consider them a step or two above camping. 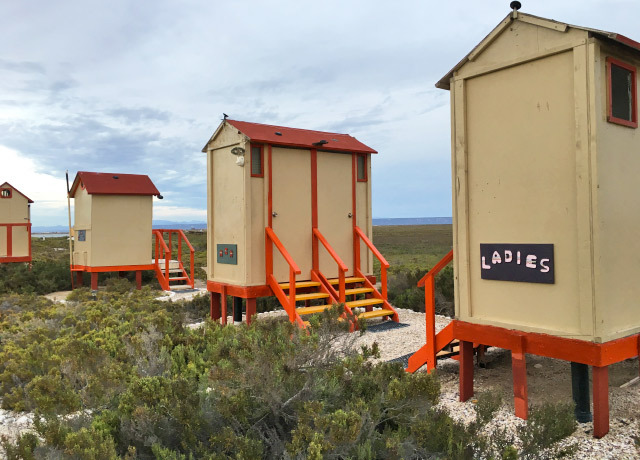 The bathroom and shower facilities are shared and constructed with the environment in mind, using solar-heated water and a system of buckets that provide a water-thrifty yet effective bathing experience. Meals and presentations take place in the large round lounge/dining cabana.